The Cadets scored by committee and held the Pioneers to just one goal after subzero temperatures and snow shut down practices this week. Neither St. Thomas Academy nor Hill-Murray had many opportunities to practice heading into Thursday's Metro East Conference showdown between the two league powers. Hill-Murray had one optional practice this week while St. Thomas Academy didn't see the inside of a rink. While the players didn't have much time to practice because subzero temperatures and snow forced school closures, they had time to catch up on a few other things. Like Fortnite. Rob Christy and some of his teammates, including Muzzy Donohue, Luke Herzog and Ben Stucker, all spent portions of their downtime online playing the ever-popular computer game together. "We all get on the Fortnite," Christy said. "That's usually my squad." But all breaks must come to an end. 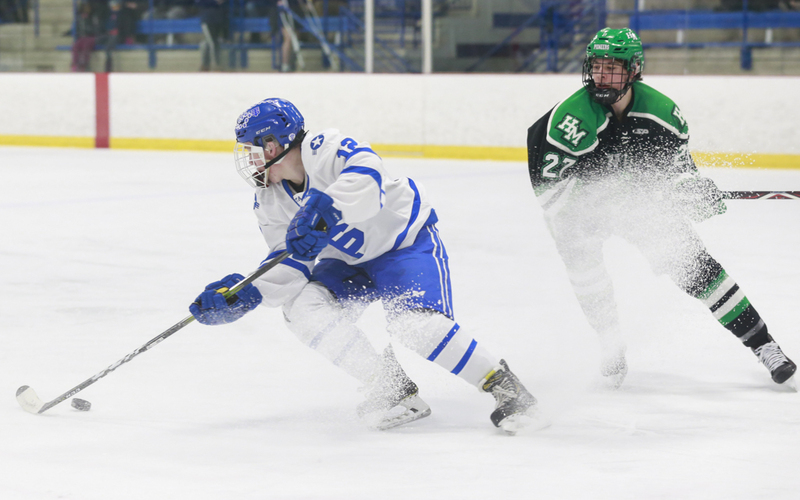 And St. Thomas Academy did not have much trouble focusing back on hockey in Thursday's 4-1 victory over Hill-Murray. Herzog, Christy, and Ryan O'Neill each scored second-period goals, and Nico Vega added one in the first period as St. Thomas Academy (17-3-1, 7-1-0), won its 11th straight game. Ryan Petersen scored Hill-Murray's lone goal in the second period. How were the Cadets able to get their focus back from the impromptu break? "Obviously we had to take our warmups pretty seriously," Christy said. "We had to get our feet wet." St. Thomas Academy, ranked No. 6 in the Class 2A state coaches' poll, hasn't lost since a 6-2 defeat by Edina on Dec. 28, and has wins against conference rivals Mahtomedi and now Hill-Murray. For Greg Vannelli, St. Thomas Academy's co-head coach along with brother Tom Vannelli, having Stucker — a senior forward — back from a broken collar bone suffered in the first game of the season has been a big break. Stucker missed nearly a month of the season. "He is our first line center and the point guy on the power play," Greg said. "So I think everything's kind of built around him. Our lines really changed when he came back." Thursday's loss to St. Thomas Academy for No. 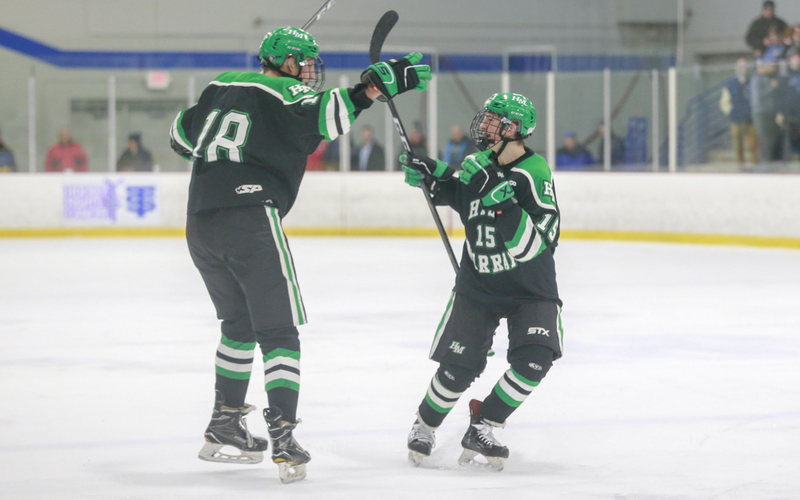 10-2A Hill-Murray (11-6-2, 5-1-1) has been the latest in a difficult schedule that's included Benilde-St. Margaret's, Mahtomedi, Edina twice and Maple Grove in the past 10 games alone. But coach Bill Lechner hopes his team can take the difficult stretch of games to help prepare them for a run at a third consecutive state tournament bid. "Hopefully it prepares you if you take it the right way," Lechner said. "You can either use it as a positive or it can destroy you. And we'll find out how our guys respond." 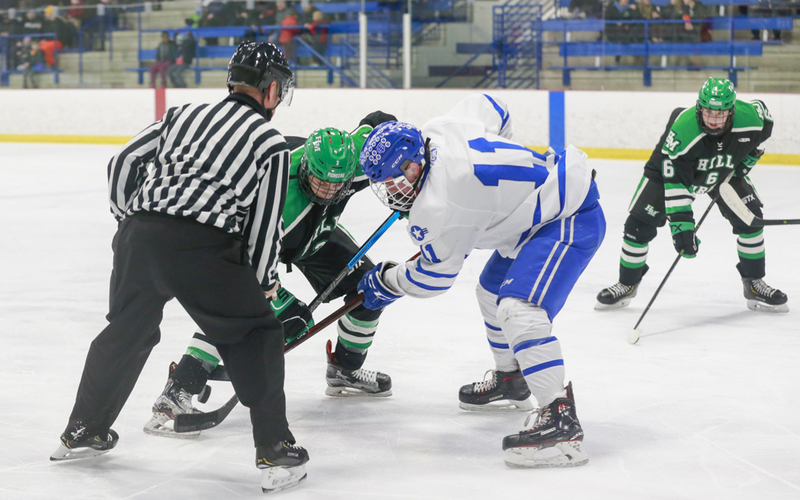 Hill-Murray got the better of St. Thomas Academy in a 6-2 win the first time the two Metro East Conference powers faced off Dec. 20. However, with the Cadets on home ice Thursday, things played out much differently. Luke Herzog, Rob Christy, and Ryan O'Neill each scored second-period goals as St. Thomas Academy, ranked No. 6 in the Class 2A state coaches' poll, broke away for a 4-2 victory in the Metro East Conference matchup. Nico Vega notched a first-period goal for St. Thomas Academy (17-3-1, 7-1-0), which led 1-0 after the first 17 minutes of play. Ryan Peterson scored the only goal for Hill-Murray (11-6-2, 5-1-1), 11 minutes into the second period which, at the time, cut the deficit to 2-1. Senior Muzzy Donohue stopped 17 of 18 shots against the Pioneers, while No. 10-2A Hill-Murray's Remington Keopple made 33 saves. The MN Hockey Hub poll is for entertainment purposes only.